Creating Christmas newsletters for our customers!!! Allou Travel wishes to their customers and partners happy new year and a merry Christmas!!! Have you created yours??? Creating Christmas newsletters for our customers!!! 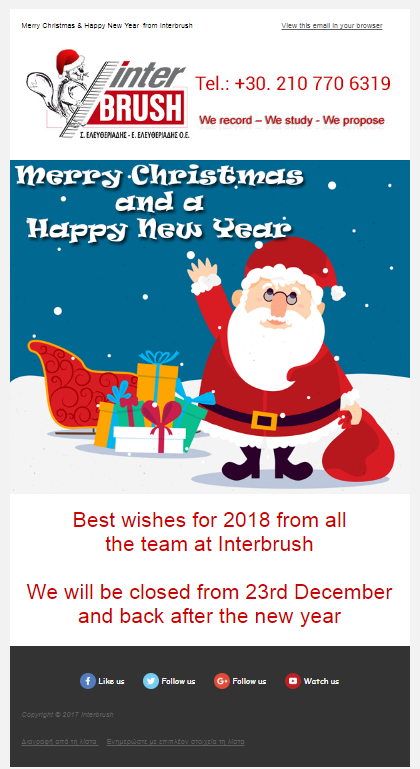 Interbrush wishes to their customers and partners happy new year and a merry Christmas!!! Have you created yours?? ?